Here at Sen Talk we work hard combating discrimination of autistic children and ensure they are accessing education and enrichment opportunities just like any other child. We provide a range of clubs and activities specifically for neuro diverse children and encourage interest-led play. We have so far provided support for over 150 families within the London Borough of Wandsworth through advocacy and family support. Within this borough it is estimated that 1:49 children are autistic and that the vast majority are attending a mainstream school. A recent inquiry into Education and autism (NAS,2017) suggests that children on the autistic spectrum are now 7 times more likely to experience a fixed term exclusion. This may be because of fixed or dated ideas about autism and it needs to change. Children on the spectrum are more likely to have to access children and mental health services, experience bullying and fall behind academically. On a back drop of funding cuts across statutory services, it is now more important than ever to get the discussion started and find out how we can support our neuro diverse children better. 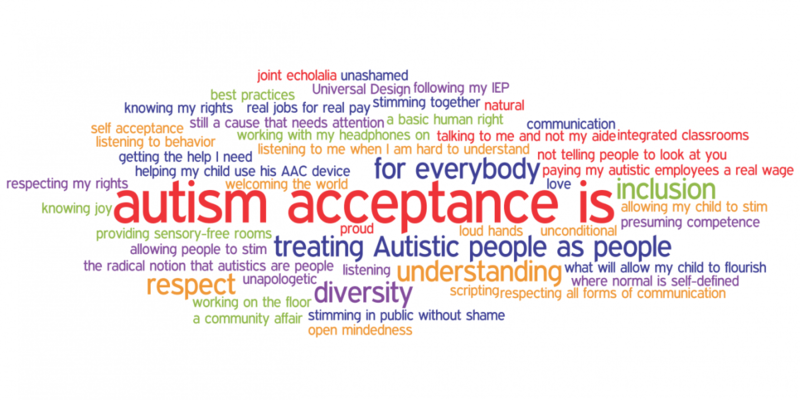 Download an Autism Awareness poster www.autism.org , or speak to your school about holding a diversity assembly to get the discussion started.